If I said the words ‘Marfan Syndrome’ to you I imagine you would probably tilt your head in confusion and wonder to what I just said, for me though those words are a huge part of my everyday life. I’ve grown up with Marfan which also means that I’ve grown up dealing with confused doctors who haven’t heard of my condition or random members of the public who want to know why I use a wheelchair/powerchair. You get used to things like that when you have a long term condition or disability but it doesn’t mean that it gets easier when you see a doctor and they have no idea how to help you. At this point you’re probably wondering what Marfan Syndrome is and why I’m telling you about it! 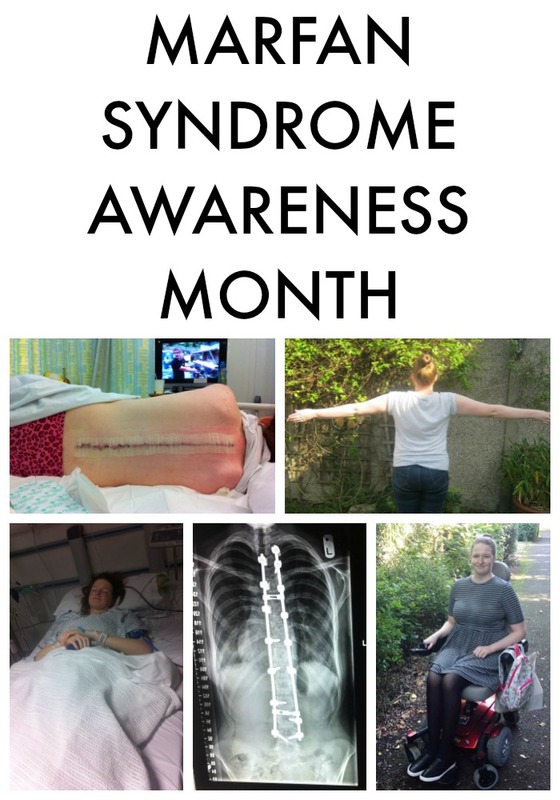 Quite simply it is a rare genetic connective tissue disorder and February is the awareness month for it, hence why I’m here telling you all about it! Awareness months are so important, especially for rare conditions, as you get the opportunity to spread the word and educate people, including medical professionals. Ever since Marfan caused my health decline in my teens I’ve dedicated as much time as possible to raising awareness, whether that be through my blog or volunteer charity work. A bit about my Marfan story though, it’s quite a long one so I’ve compacted it done as much as possible! I was diagnosed officially as a toddler after an ultrasound scan of my heart confirmed my Mum’s suspicions that she had passed Marfan on to me. Her Dad and Brother also had the condition but both passed away quite young from the associated heart problems. Growing up I suffered with joint hypermobility and pains but it was in my teens that my problems got worse, starting with a diagnosis of Scoliosis, the sideways curvature of the spine. At first we thought it was mild but it quickly progressed to the point where I was in a lot of pain and it was affecting my education a lot as this all occurred during my GCSE year. So, I was booked in to have spinal fusion surgery to correct the curve in my spine, it was a 6 hour operation where they used metal rods and screws to straighten my spine. Unfortunately things didn’t go as smoothly as we’d hoped though as I had a complication, a screw was sitting on a nerve and it was causing nerve pain down my right leg. It took a while for it to be found and operated on but thankfully after the second operation to replace the screw my pain did improve greatly. I’d just turned 17 at this point and your probably thinking that needing 2 spinal operations is more than enough for someone of that age to go through, my body had different ideas though and decided to throw more problems into the mix. I started getting pains in both of my hips and I knew that Marfan could cause a specific hip deformity so off I went to be referred to see a hip surgeon. X-Rays of my hips were all that was needed to discover that I did have the deformity, called protusio acetabuli, and eventually both my hips would need replacing. We thought that we could get away without replacing them for a few years at least but CT and MRI scans revealed that my right hip needing doing as soon as possible. So, at the age of 18 I had my first hip replacement! It was easier than the spinal surgeries luckily but it certainly was weird waking up on a ward full of elderly people who had been through the same surgery! After that came a another less common diagnosis, I had a tarlov cyst (spinal cyst) in my sacrum, this is a small triangular bone at the end of your major vertabare in your spine. It is eroding away the bone and causing me such severe chronic back pain that I now need to use a powerchair to get around, unfortunately it cannot be operated on at the moment. Around the same time I also found out that I will be needing major open heart surgery a lot earlier than I thought, they predict in my early twenties, I assumed that I had decades before they would need to intervene. Last year certainly was a tough one! I use my experiences to help and support others though, through my blog and also my volunteer and patient roles within charities. I have some big goals for the future and I hope one day to be able to set up my own Marfan support charity here in the UK, I’m determined to make it happen! Finally I just want to leave you with some of the characteristics/signs of Marfan, a few symptoms that can sometimes point towards a potential diagnosis. They include: being tall and slim, having long limbs, hypermobile joints, crowded teeth, high palate, flat feet, scoliosis and breastbone deformities. Eye problems such as lens dislocation and heart problems such as aortic dilation are also big indicators when paired with some of the minor features. If you only remember that from this whole post then I’ll be happy! 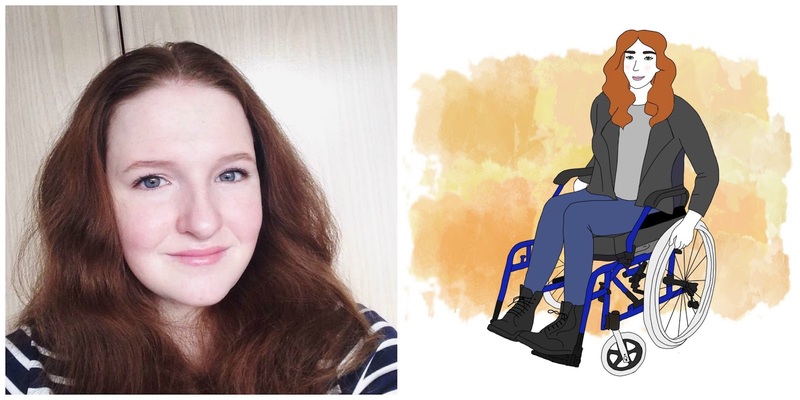 A big thank you to Shona for taking the time to create this informative and eye-opening post to help raise awareness of Marfan syndrome. If I’m honest I had never even heard of Marfan Syndrome till I knew Shona so as February is Marfan Syndrome Awareness Month I thought this guest post would help spread the word! 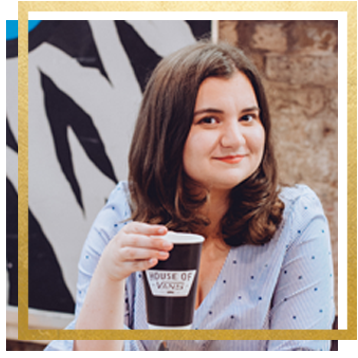 I’ll leave Shona’s links below so you can go follow her and hear more about her journey – I know she’s got loads of exciting things coming up that I’m sure you will all want to know!